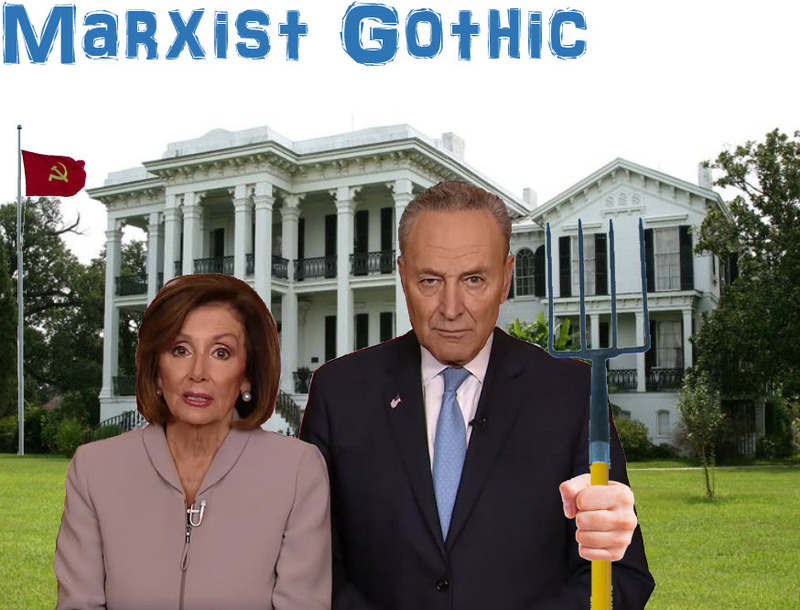 Nancy and Chuck explain why we need unfettered human and drug trafficking at our southern border. 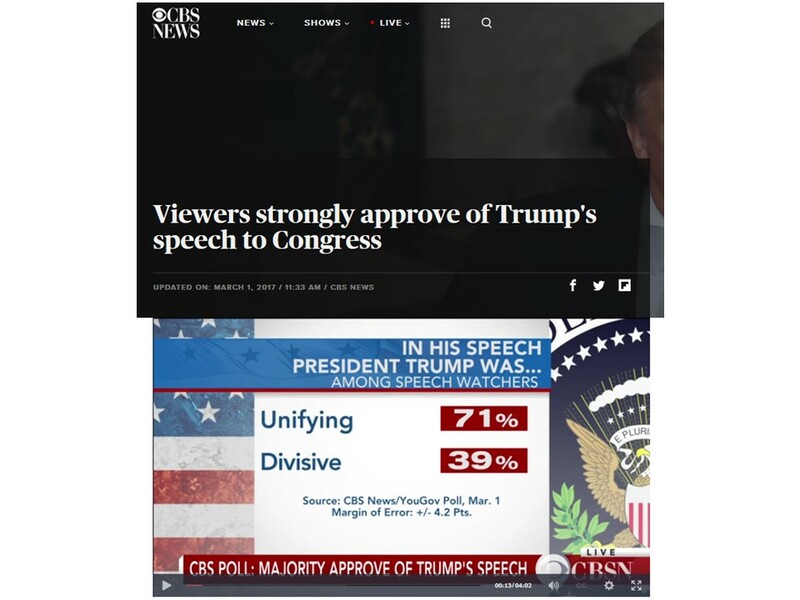 They said President Trump was throwing a temper tantrum. If you wan’t to know what liberals are up to, look at what they accuse others of doing. Actually, the only person that presented a coherent and feasible strategy for ENDING the free-flow of illegal aliens into the country was Trump. Stretch Pelosi and “I’ve finally completed my hair plugs Schumer” basically said, we will implement more board surveillance. IF my attached photo comes through, this is how the scenarios stack up: one person will nearly-permanently resolve the problem… the others don’t want it solved. The problem can be solvee quickly. Give them what they preach. Give them what they preach and force them to live the way they promote. Need dem 10 million votes or it’s all over for he post-modern left. Agreed, Cannon. I’ve had to part ways with acquaintances, due to their “progressive ways.” For them, the ends are SO IMPORTANT, that it justifies any means necessary; to include lying, bribery, extortion, blackmail, etc. Liberals have themselves so utterly convinced that their way is the only way, that they easily forgo moral or ethical norms of behavior… because it’s all about the results! If Republicans don’t internalize this lesson and start gutter fighting, like progressive leftists, the leftists WILL burn this mother down… and we will have handed them the matches. Don’t all immigrants want to become wealthy US citizens? Our is their goal to change the US into the south american/african/middle eastern ghetto they just ‘escaped’ from? So voting democrats would be the most stupid thing for them to do. And if they are invaders it would be the most stupid thing for the democrat white supremacists to want them in. Yes, absolutely, at least when speaking about the leaders. Most of the followers are mislead sheep with primitive thinking skills, but the leaders? They really, truly, and literally are psychopaths. I swear to God, this is what came up when I watched the story online. They have reached full Idiocracy. I am surprised they don’t have these two reading the “news” lately. This is so easy – take away the arguments from Trump and the Dems and simply listen to those protecting our border (CBP) – they overwhelmingly want a barrier. Why do the Dems want to make CBP’s job more difficult? They are men & women in uniform protecting our country – why punish them? Democrats punish anybody who stands between them and their goal – destroy Trump and destroy America. You’re wrong .. their “goal” is POWER … period! .. and by any means !! 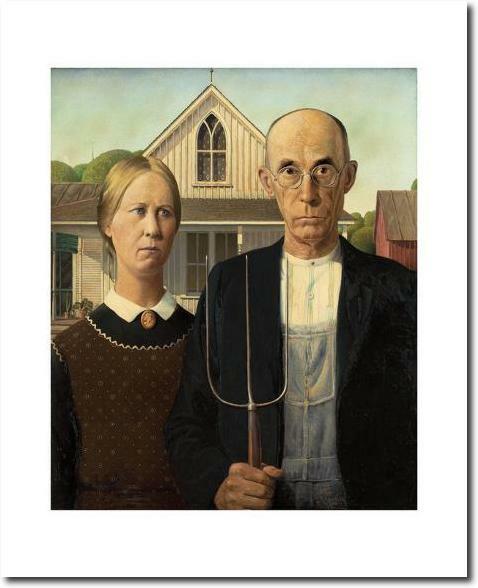 Funny, when the two first appeared on screen , I told the wife: it’s American Gothic, but he needs a pitchfork and the window is missing. Then, I began channel surfing. You saw it the exact same way I did! I sketched this up when I saw the news reports on SanFranNan’s and Chuckie’s presser. 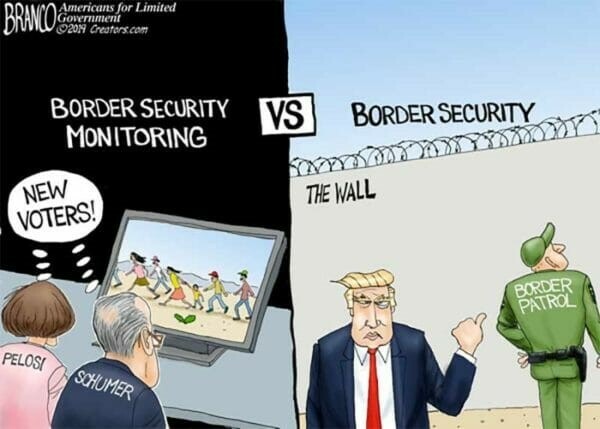 Trump’s blood-curdling anti-migrant rhetoric does him no favors – but the most offensive thing about his wall is the rank hypocrisy of the Democrats who once voted for it! “In 2006, the Secure Fence Act was passed into law that called for 700 miles of secure fencing to be built along the border, and for enhanced surveillance technology including new satellites, drones, cameras and sensors. Sen. Schumer supported that, too, as did Sen. Clinton. According to the rhetoric they are using today, Barry Soetoro Hussein Obama, HiLIARy Clinton, UpChuck Schumer and the other Democratic senators who voted in favor of the Secure Fence Act of 2006 in the Senate (by a vote of 80 to 19) acknowledge and admit that they were “immoral” back then when they voted to protect U.S. Americans and secure our border. I happened to see this piece from a good conservative website called ‘whatfinger’ It appears the the (R) Kay Baily Hutcheson (TX) inserted a clause later that basically nullified building the wall. I remember her being basically forced to seek no re-election after she was found out. All of them are crooked bastards.